During the past thousand years or so, the vast region of North East India extending from the base of the Himalayas and washed by the waters of the Trisrota (Teesta or Tista) and the Brahmaputra was an ancient civilization, with fluctuating geographical boundaries, that came to be known at various times in its history as Pragjyotish, Kamrup and Kamata. This finds mention in ancient texts like the Puranas, the Ramayana and the Mahabharata. Cooch Behar has a long history stretching back to its days as the seat of the Kamrup Kingdom from the 4th to the 12th century AD and subsequently of the Kamata kingdom of the Khen dynasty. After the fall of the last Khen ruler in 1498, Maharaja Bishwa Singha established the Koch kingdom from the early 16th century. The Kamata kingdom split in 1581, to create Koch Behar and Koch Hajo, present day Assam, roughly divided by the river Sankosh. Koch Behar included at the time what is present day Cooch Behar district, parts of Dinajpur, Jalpaiguri and Rangpur (Bangladesh). It later became a vassal kingdom under the Mughals. In course of time, Cooch (Koch) Behar transformed from a kingdom to a princely State ruled by the king of Cooch Behar as a feudatory ruler under the British Government from 1773. In 1949, the king of Cooch Behar ceded full control of the state to the Government of India. 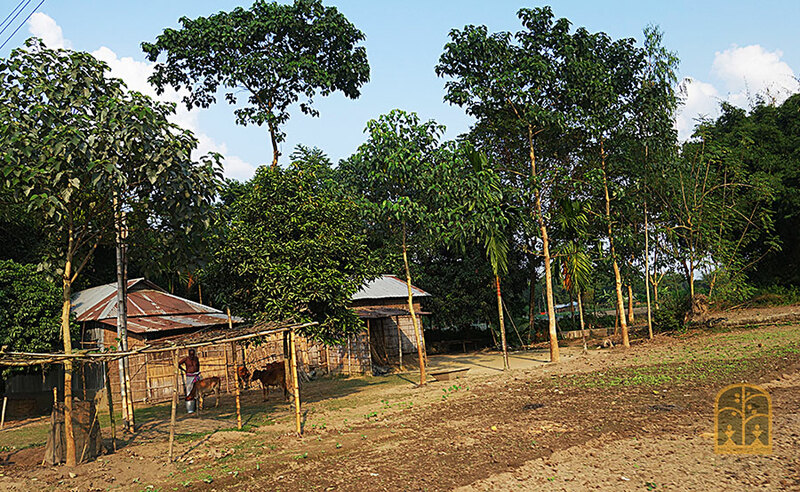 Thus, Cooch Behar was incorporated into West Bengal as a new district under the Jalpaiguri Division. The district is bounded by the district of Jalpaiguri in the north, the state of Assam in the east and Bangladesh in the south and west. 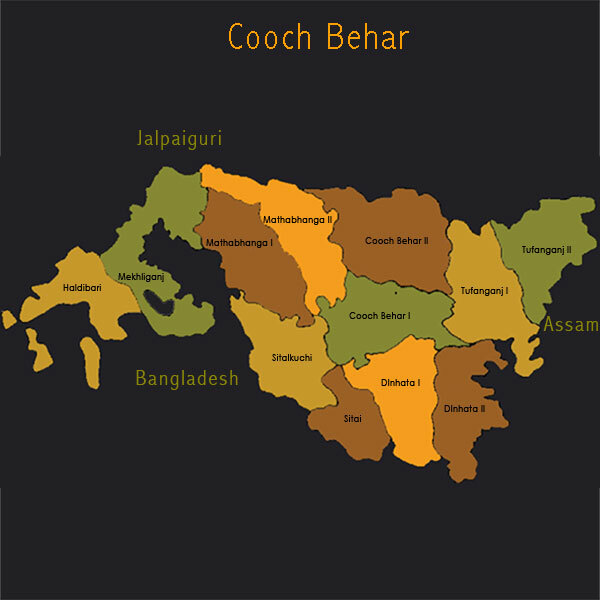 The name ‘Cooch Behar’ has many interpretations: one is that it derives from a term that meant ‘the land through which the Koch Rajbongshi kings roamed’ (‘bihar’). Another explains it as ‘the abode or playground of the Koch people’. 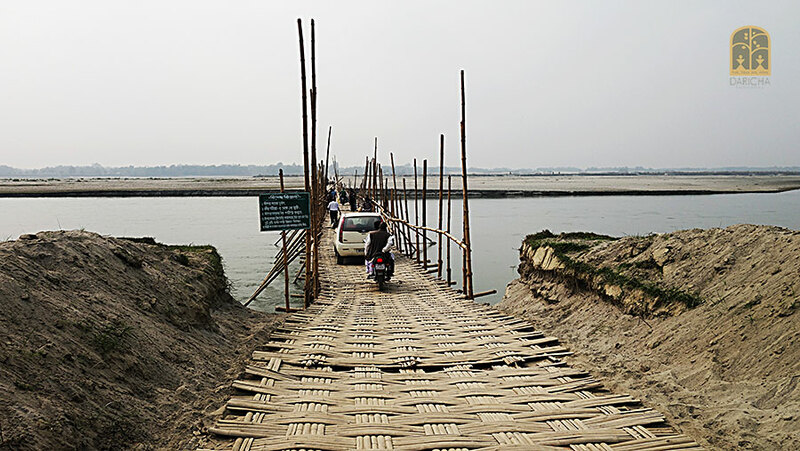 Fed by six river systems including the Tista, Torsa and Jaldhaka, the district is a combination of highland and flat country. In 1976 Cooch Behar district became home to the Jaldapara National Park which it shares with the neighbouring Jalpaiguri district. Coochbehar district is surrounded on two sides by Bangladesh. An interesting thing here is that there are certain detached tracts of land called enclaves or chhit mahal belonging to one country, but located in the other. Thus there are 92 Bangladeshi enclaves within the borders of Cooch Behar while India has 106 enclaves in three border districts of Bangladesh. This geographical oddity is the cause of much misery to the inhabitants of these tracts. According to the 2011 Census, it is the third least populous district of West Bengal after Dakshin (South) Dinajpur and Darjeeling. Nearly 90% of its population lives in rural areas. An industrially backward region - almost 85-90% of the total population depend on agriculture. There are also a number of agro-based small-scale industries in the region. 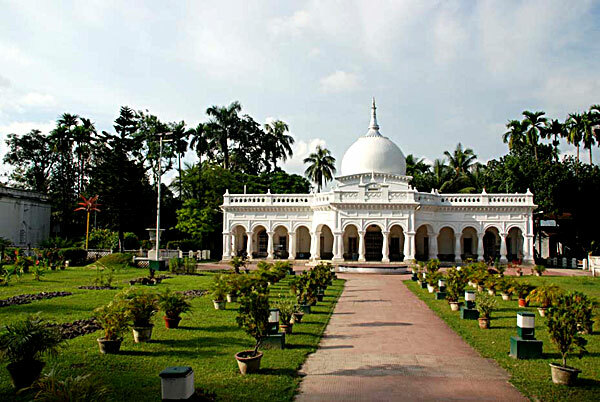 Ruled by a succession of Hindu and Muslim dynasties (followed by the British Raj), Cooch Behar is today a land of mixed cultures - with the Rajbongshi culture being predominant. The local Bengali dialect, earlier known as Kamrupi, however, is different from the one spoken in Kolkata. It is closer to that of erstwhile East Bengal and is a mix of Assamese and Rajbongshi dialect. Steeped in the nostalgia of a bygone royal era, Cooch Behar is well known for its palaces and royal buildings. 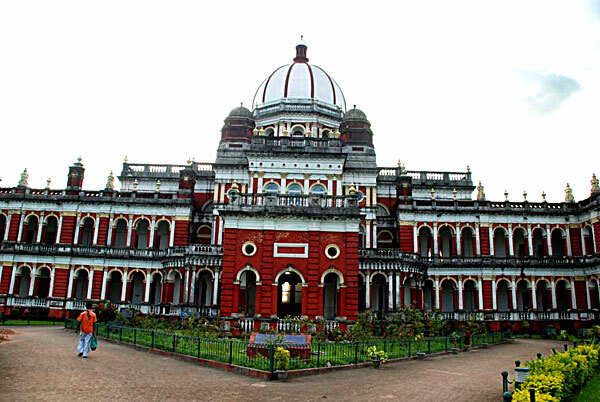 Prominent among them is the Royal Palace of the Koch Kings – the Cooch Behar Rajbari, an exquisite example of European architecture. The district has also gained importance from an archaeological perspective since the recent excavation of ancient stone sculptures, stone engravings and a water system at Gosanimari Rajpat. There are numerous medieval temples in the district including the royal Madan Mohan Temple, the Bara Debi Bari and Baneswar Temple, the last mentioned being a 500 year old temple which is perhaps the only temple in India where non vegetarian prasad is offered to the resident deity, Shiva. 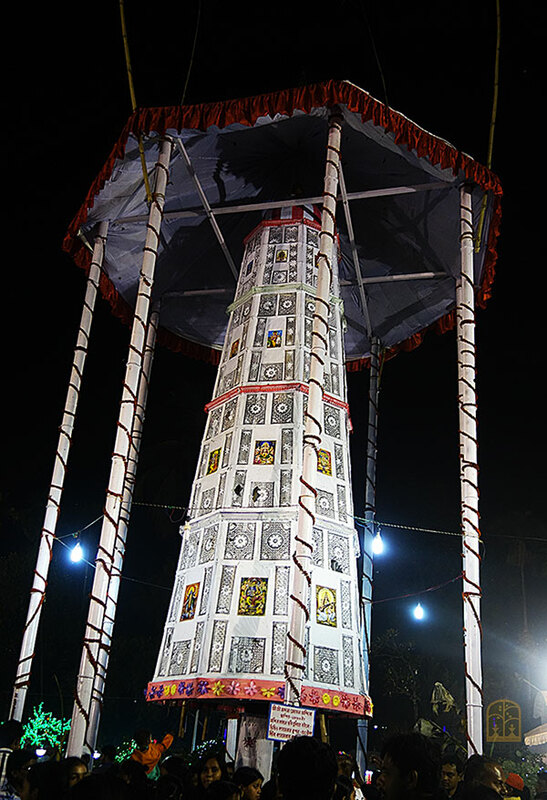 The Cooch Behar Raash Mela is the oldest fair in North Bengal, having been started in 1812 by the erstwhile Koch rulers as part of the festivities centered on the worship of Lord Madan Mohan (a form of Lord Krishna). Bhawaiya is the most popular folk music form of the Rajbongshi community in Cooch Behar, while ritual songs and ballads include Shaitol Pujar Gaan, Madankamer Gaan, Shonarai Gaan etc. Popular folk drama forms, employing both song and dance, are Kushan, a dramatic presentation revolving around portions of the Ramayana epic; Bishohora based on stories of goddess Manasha; and Dotora. Many varieties of bamboo as well as cane are available in Cooch Behar. These are extensively used for handicrafts apart from building thatched houses in the rural areas. Basketry of different sizes and shapes, made of whole or uncut bamboo/cane, are traditionally used extensively in the rural areas for the carrying, storing and measuring of grains. It is now being adapted to various shapes for use by planters, fruit-sellers and bread-bakers. 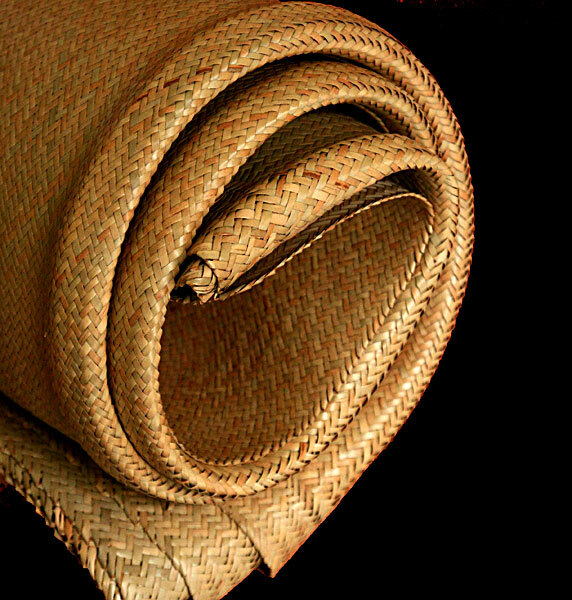 Reed mats too are made but the most notable and popular product among the handicrafts of Cooch Behar is the Shitalpati mat made from a special kind of cane.